1. Monthly Class to learn and implement principles to support your growth and up level your life. 2. Personal Coaching & Questions after class. 3. Positive Community - active with Dr. Kimberly LeHew! 3. Weekly Inspiration- Every Monday morning! 4. Dream Alignment Session- clarity and certainty are a powerful force for creation! Thank you for being a part of Infinite Possibilities. I appreciate your commitment to your process of personal growth and learning. I ask you to follow a few simple guidelines, to make sure we create a fair, respectful and loving community for all. 1. All of the content in this course and in the online community is copyright of myself and my business, Purpose 9, LLC. Please do not share it, or distribute it in any way at all without express written permission from myself. Please do not "study with someone else" unless that person has also bought the course from myself. 2. Keep our relationship professional. I am extremely approachable and I want to help you as best I can. However, I have to enforce these boundaries or things become too difficult for me to manage. Please do not contact me through Instagram Direct Message or Facebook Messenger. For questions regarding material and teachings, videos and Infinite Possibilities material, please ask in the Community and I will be happy to answer. I will be VERY present to help you. 4. Have realistic expectations of the membership. I'm encouraging you to go within, heal emotions on your terms, improve your self perceptions and establish an unwavering belief in yourself. The progress and evolution you make is at your discretion and your pace. Please know health recommendations are generic and not intended to diagnosis, treat, or specific to any one person. I am not your doctor or offering personal medical advice. **Please seek your primary care doctor, specialist or therapist for personal recommendations, treatment, advice or guidance. 5. I ask with kindness and compassion to be mindful of my time. I do not offer 1-1 mentoring. This is what I do offer: In the Infinite Possibilities Community, I will always answer your questions, but NOT personal health care advice. 6. 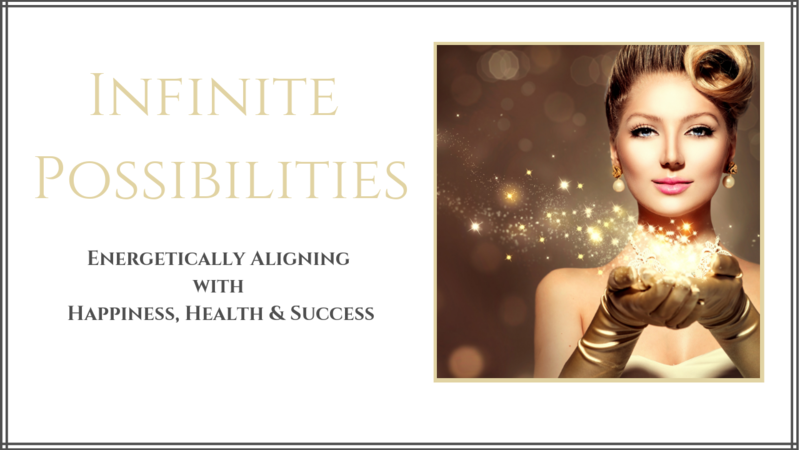 If you purchased Infinite Possibilities, you have 30-day money back guarantee from the day of purchase. After the first 30 days, there are NO refunds. No exceptions. But you can cancel at anytime!! You are charged monthly. After you unsubscribe, you will not be charged the following month. 7. I reserve the right to remove you from the community AND the Infinite Possibilities Membership without notice or refund, so please follow IP rules. We all are here to grow and spread love and light.